There's no denying it, the AnOther team loves dogs. We love magazines about dogs, we love dog-inclined photography, we love dogs on tables, dogs shaking and dogs decked in flowers. So it may not come as much of a suprise to discover that this week's winning post comes complete with silky ears, a wet nose, deep, doting eyes and a wagging tale. 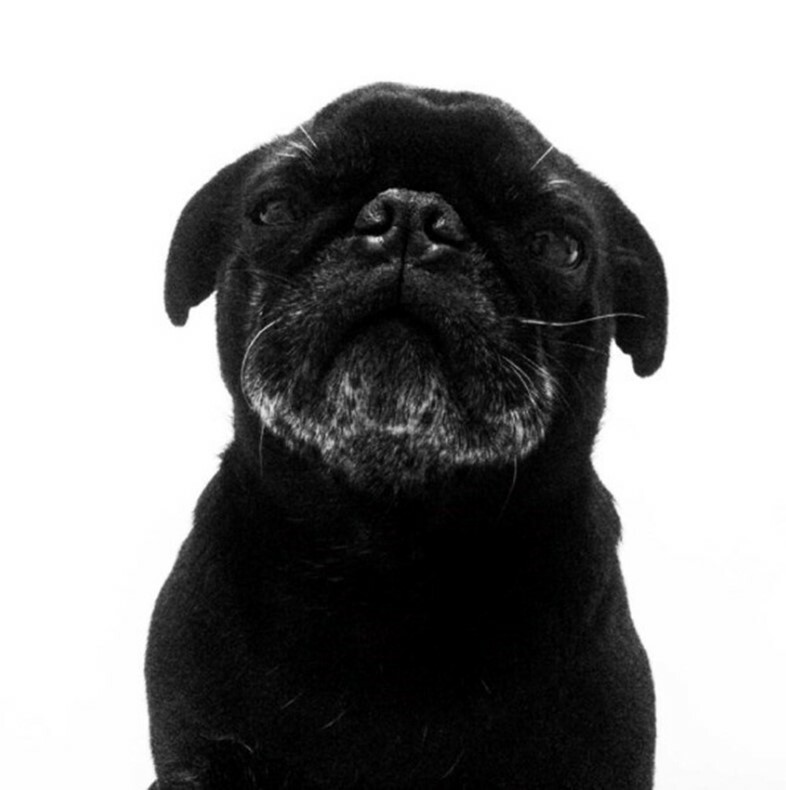 He is Myles the pug – captured in a candid, front-on pose by photographer Iringo Demeter – and he is (vote-winningly) magnificent. 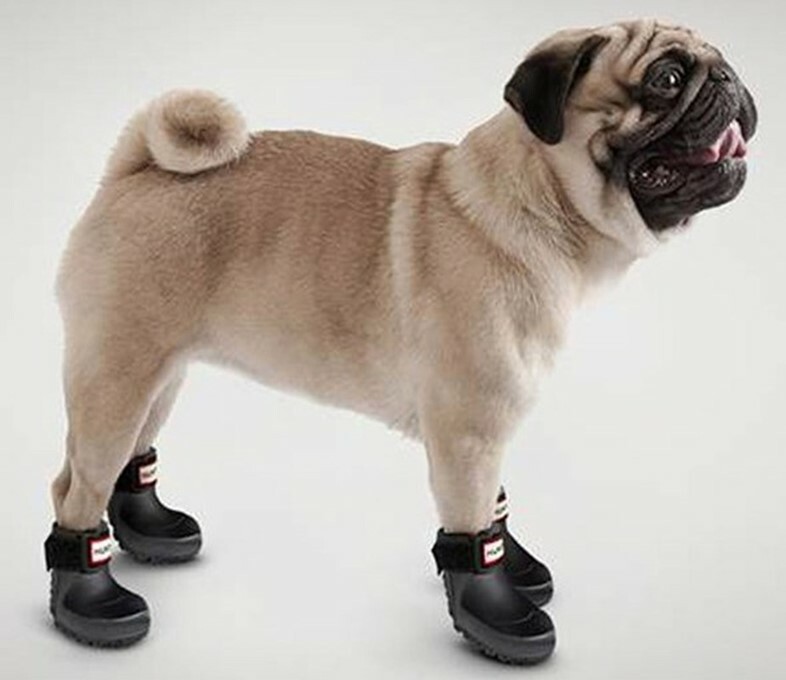 Posted by his owner, brand strategist and AnOther Lover Andrew Blyszak, Myles is eight years old and was bought by Blyszak as a puppy from a breeder in Kent. "The breeder is regarded by the Pug Club (yes, such a thing exists) as the top third in the U.K. and it took me one and a half years on a waiting list to get him," boasts the proud owner. "They even came and did two sweeps of my apartment and local area before agreeing that I could own a pug!" 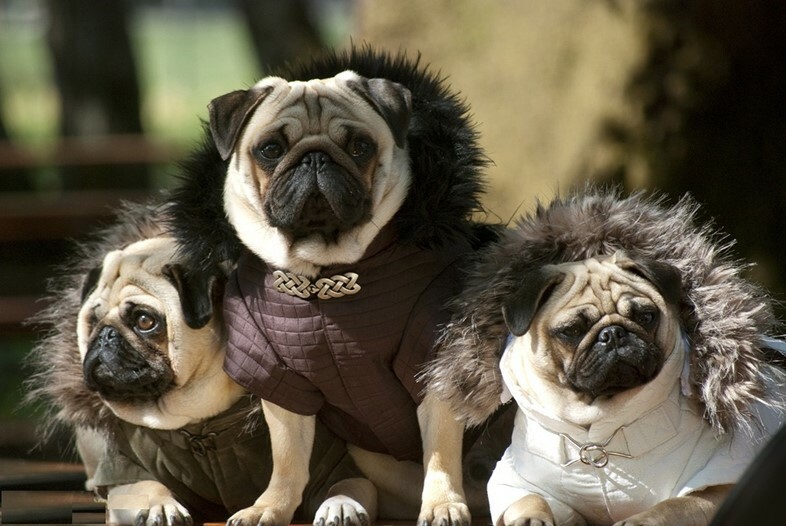 Square-bodied, snub-nosed and curly-tailed, pugs were introduced to Europe from China in the sixteenth century. The breed flourished in England under the patronage of Queen Victoria during the nineteenth century – she bred the dogs herself, and favoured apricot and fawn coloured varieties. 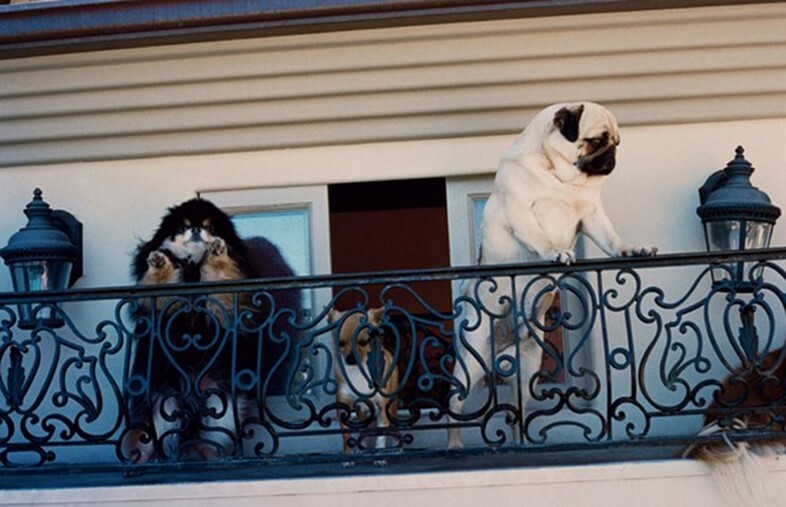 Her pug brood included Olga, Pedro, Minka, Fatima and Venus. Another famous fan of the diminuitive dogs is of course Valentino Garavarni, whose precious pug entourage has their own private car and butler to boot, and accompany the designer wherever he travels. 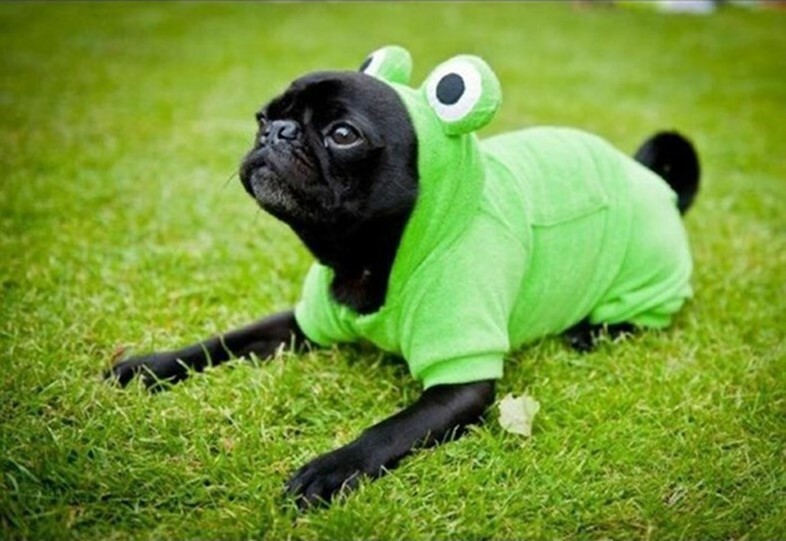 Pugs also pop up in a diverse range of cinematic offerings, appearing in illustrated form in Disney's Pocahontas, in all three Men in Black movies, and most recently in The Hobbit: The Desolation of Smaug (yes, pugs apparently occupy Middle Earth). Here, we speak to Blyszak to find out more about his own, particularly photogenic pup, alongside a range of our favourite pug-centric imagery. Why did you choose to Love this picture of Myles? That grey tuft and those eyes at the sky. Where would you keep this image if you owned it? Iringo, the photographer who took this is a friend of mine. If I asked her for the print it would be A0 in size and sit on the floor against a wall. What are Myles' defining features? The aforementioned grey tuft around his chin, which in older-age has trickled down his forearms and onto his paws. He is tall for a pug and kept on Lilly’s Kitchen so remains slimmer than most of his pug pals. We always had dogs – the lab from my childhood was my favorite. Mum’s pekingese was always a grump. If you were a dog, what type would you be and why? Hungarian Viszla, hands down. Beautiful in colour and temperament, and amongst the most intelligent of all dog breeds. 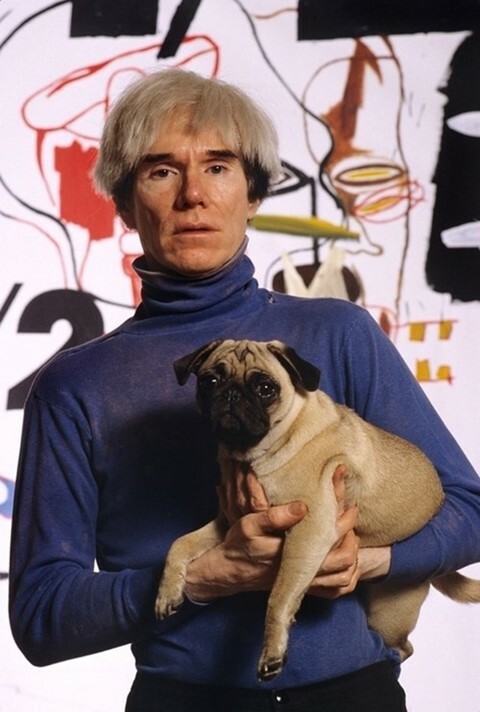 What’s your favourite doggy moment in popular culture? The series 'Pigment Prints' by William Wegman. Particularly Rey. What are you most looking forward to about autumn? A short country stint in foliage-rich Wiltshire.